Most of us like a glass of wine or two but did you know there are benefits to your favourite glass of vino? Research shows that the odd glass of red or white, drank in moderation of course, can do you good! That’s right it can help you fight illness, make your teeth stronger and your memory even better! Hurrah! So pour yourself a glass and read on to discover the reasons why wine is actually good for you! A glass a day, keeps ageing away! 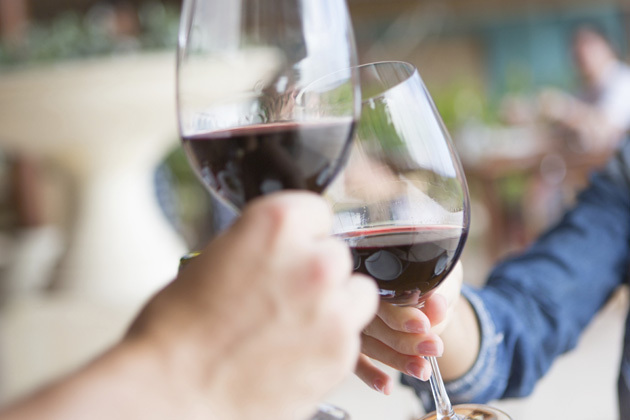 Ok, so we’re not suggesting that you should down a bottle of wine every night like it’s some kind of secret anti-ageing potion, but there has been new scientific research that suggests a glass (or even two!) each day could delay the effects of ageing. Research from the University of Iowa claims that those who drank moderately aged more healthily that those who drank excessively or were tee total. See you at the pub! Women with a degree are more likely to drink more, a recent study from the London School of Economics has found. Researchers tracked the lives of thousands of 39-year-old women and men, all born in the UK during the same week in 1970. Think it stains your teeth? Think again! None of us like to have a ghastly red wine mouth… Or the stains that threaten to stay long after the last glass is drunk! There are however a few hacks that will leave your pearly whites sparkling clean. The first is to drink your glass of red through a straw. Yes, a little embarrassing, but a conversation starter if nothing else? The second is to eat hard cheese while you sip, as apparently the calcium acts as a barrier to prevent stains building. A few slices of cheddar with our Malbec? on board! Drinking sparkling water better glasses also helps a lot. The final, and probably most effective, solution is to brush your teeth around half an hour before you drink. Wine doesn’t stick to your actual teeth, it sticks to any plague that has built up on them, so giving them a good brush should prevent the problem! 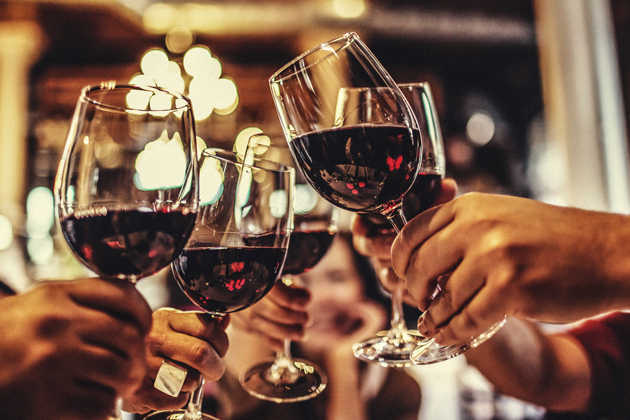 Wine can actually help you lose weight, according to some very respectable scientific bigwigs at Washington State University and Harvard *does victory dance*. Drinking two (yes, two!) glasses of wine a night can help curb late night food cravings, which are one of the biggest culprits of weight gain. Wine also contains resveratrol, a magic ingredient that stops fat cells gaining more fat. Cheers, science! Ever wondered where you put your keys or wallet? Sick of forgetting things? Well, researchers at the Texas A&M Health Science Center College of Medicine found that resveratrol, found in red grapes, may help prevent age-related memory decline! Resveratrol is found in the skin of red grapes, and in red wine, and is a powerful antioxident that helps to fight the signs of ageing and reduce wrinkles. It protects the body from ageing – hurrah! A study published in the Journal of Agricultural and Food Chemistry found that red wine can kill dangerous bacteria in your mouth that could cause dental problems, including cavities. Resveratrol, found in red grapes, kills the damaged cells that can lead to cancer, research has found. Another study, published in 2014 in the Royal Society of Chemistry’s Food & Function, found that the more polyphenols, particularly resveratrol, in wine, the more it protects against colon cancer. This is GOOD news! Suffering from spots even as an adult? Well, resveratrol can stop the growth of acne-causing bacteria better than the popular cream, benzoyl peroxide. Drinking the antioxidant is apparently the best way to benefit so find it in wine, fruits, and veggies rather than buying expensive creams! Researchers in Korea found that the compound piceatannol, which is found in red grapes and is similar to resveratrol, can help stop fat cells developing. Word on the street is that Piceatannol could be used as a weapon against weight gain AND it’s found in wine! YES!